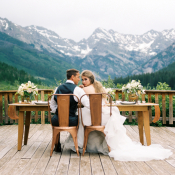 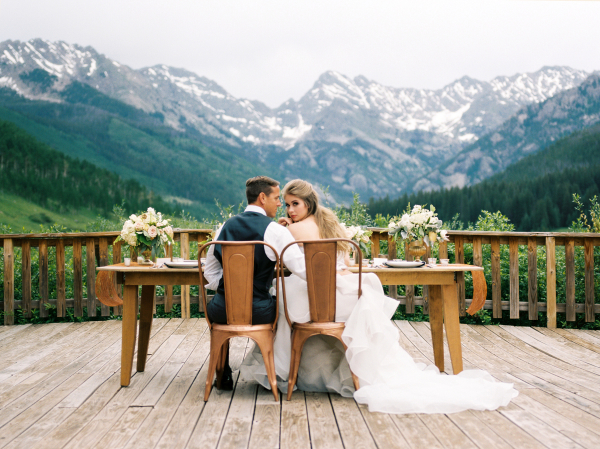 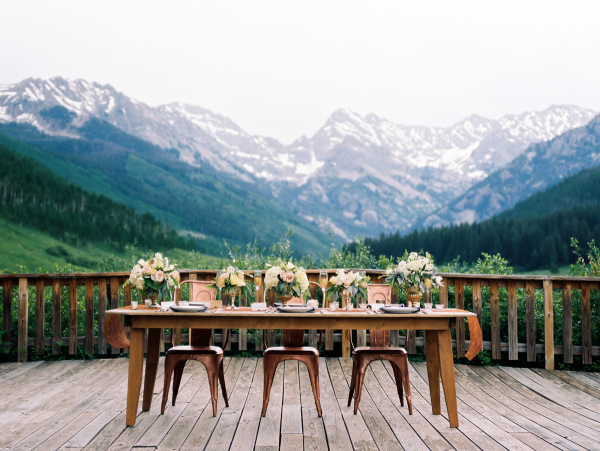 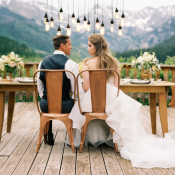 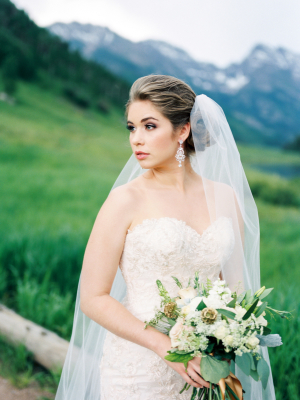 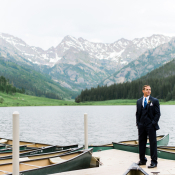 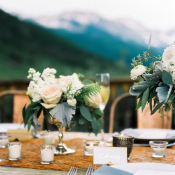 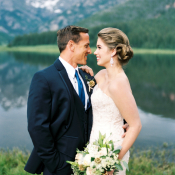 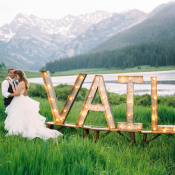 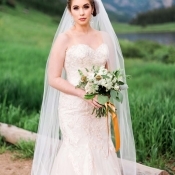 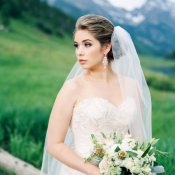 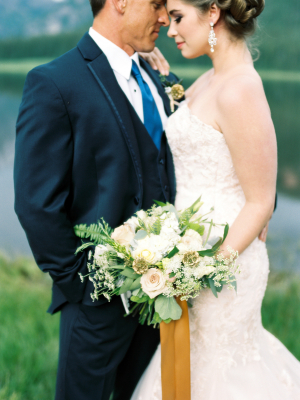 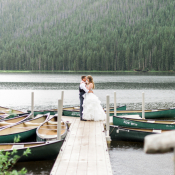 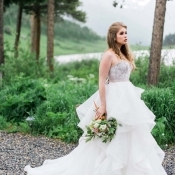 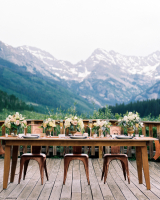 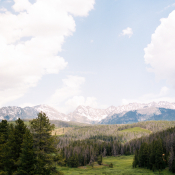 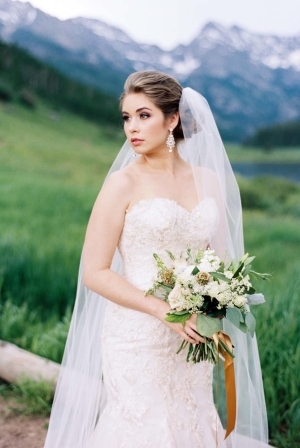 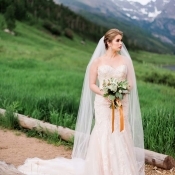 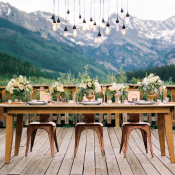 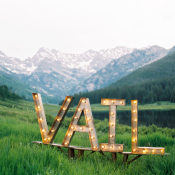 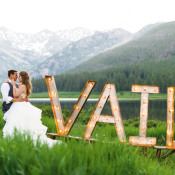 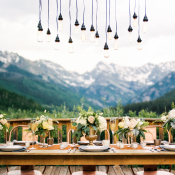 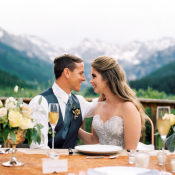 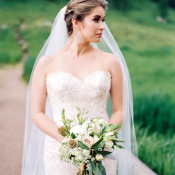 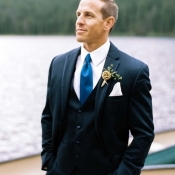 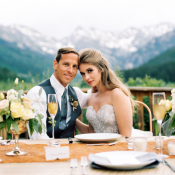 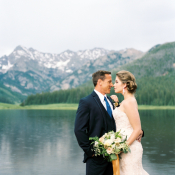 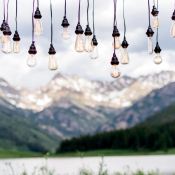 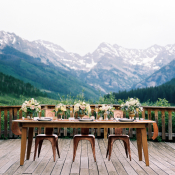 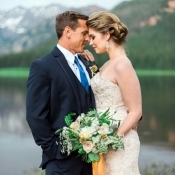 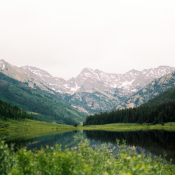 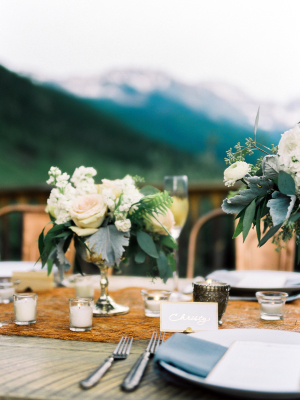 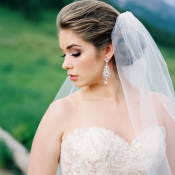 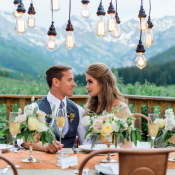 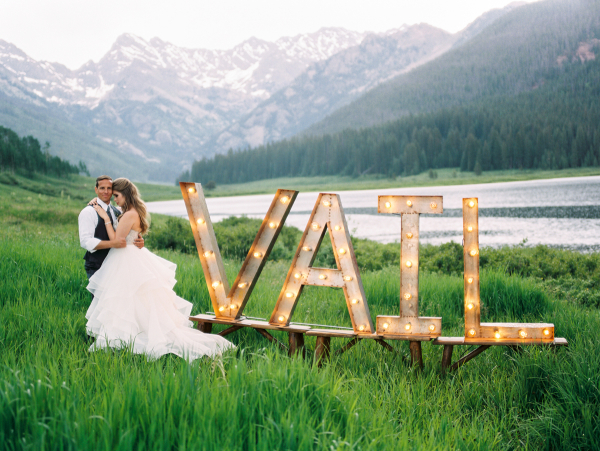 The breathtaking beauty of the Colorado Rockies and Vail’s Piney River Ranch is the backdrop for today’s inspiration shoot, and the one-of-a-kind location truly sets a spectacular stage. 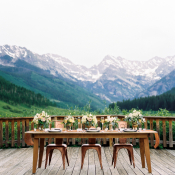 Surrounded by seemingly uninterrupted wilderness, rustic charm abounds. 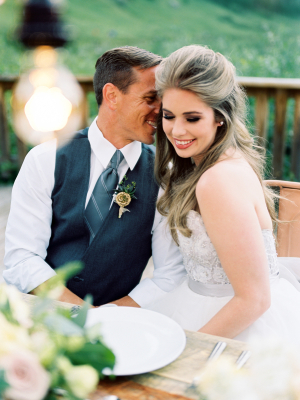 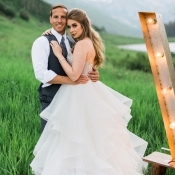 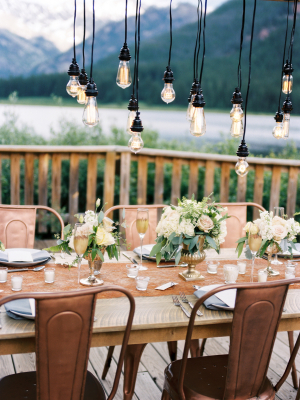 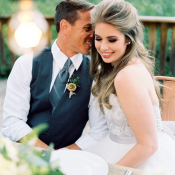 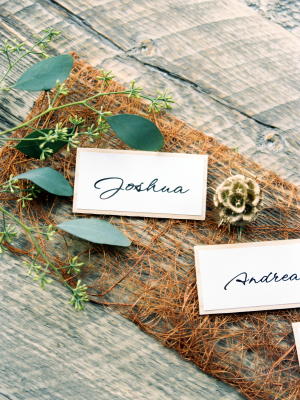 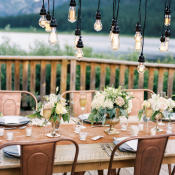 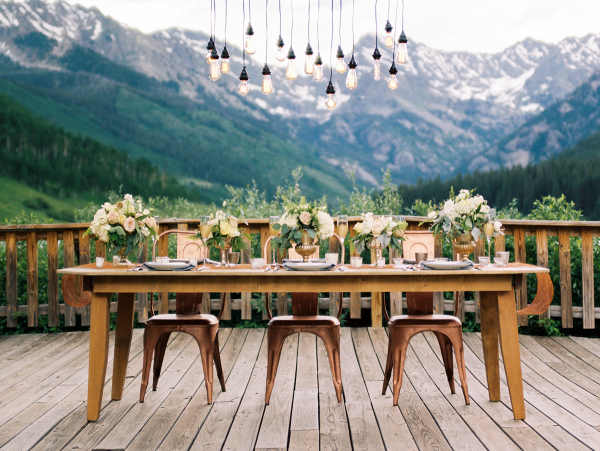 We love this unique take on a mountain wedding, which features industrial elements and metallics that bring a bit of the city to the ranch. 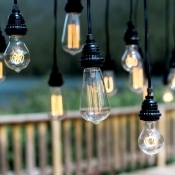 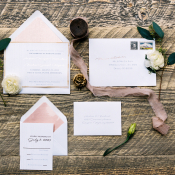 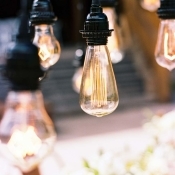 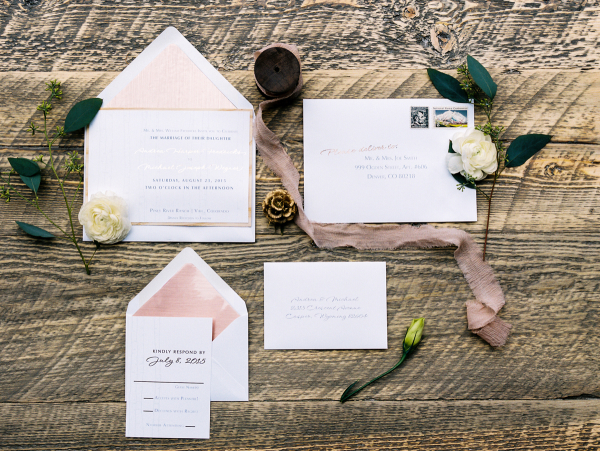 By mixing rose gold, copper, gold, and silver with unique touches such as Edison lights and marquee letters, Pink Diamond Events brought a heightened sense of style to a traditional setting. 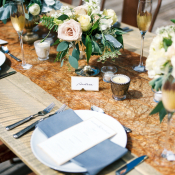 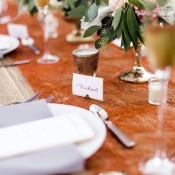 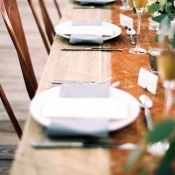 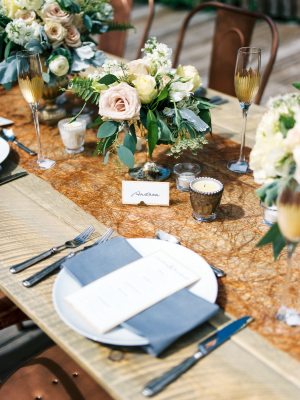 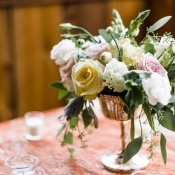 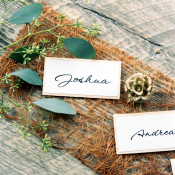 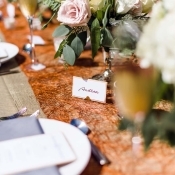 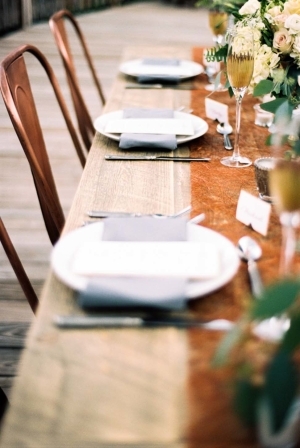 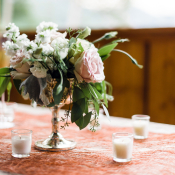 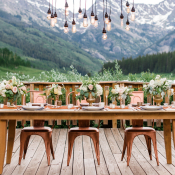 Lush and earthy florals from Petals and Pours grace the table from Old Wood Soul, which was paired with modern copper chairs from Ecletic Hive. 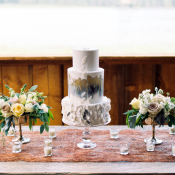 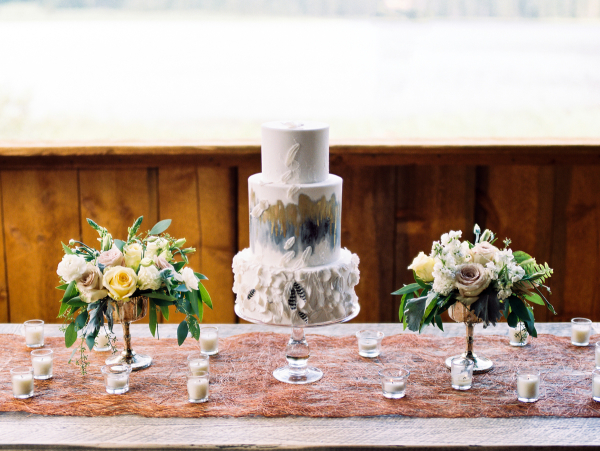 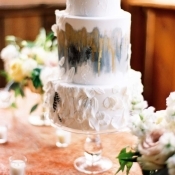 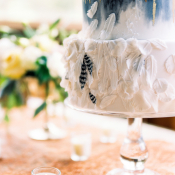 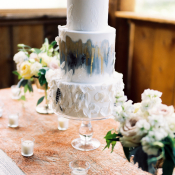 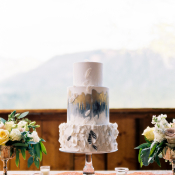 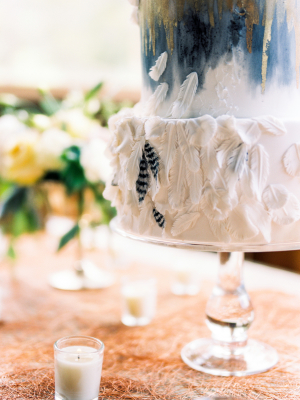 A white cake from Megan Joy Cakes with feather accents brings a delicate final touch. 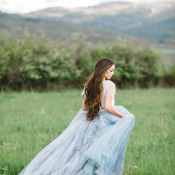 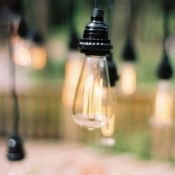 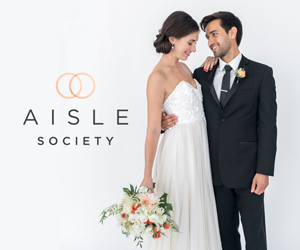 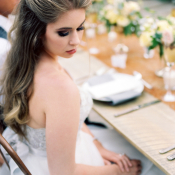 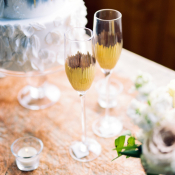 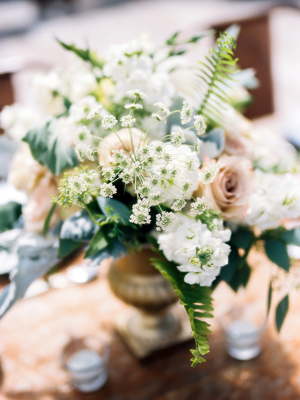 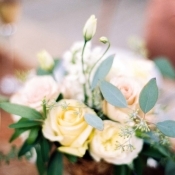 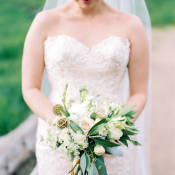 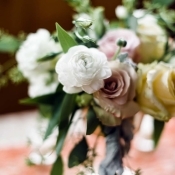 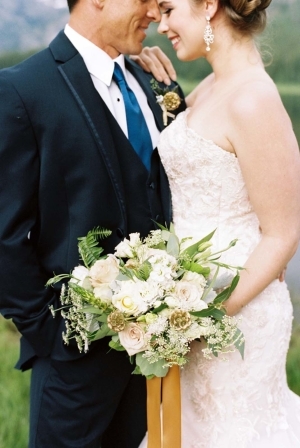 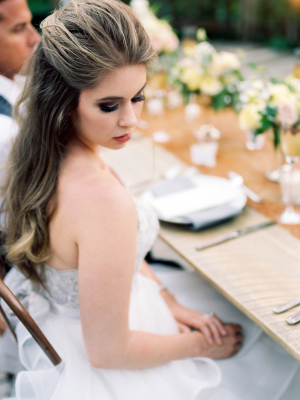 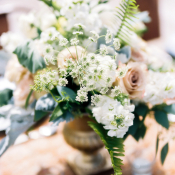 There is so much to love in these gorgeous images from Danielle DeFiore!